Since the Reformation in 1560, Scotland's national church had been Presbyterian. 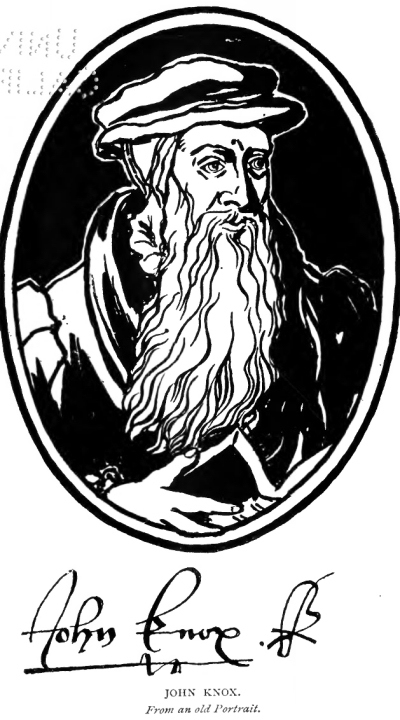 John Knox and his associates had completed the work of changing Scotland from Roman Catholicism to Protestantism. The Scots felt that their pure religion of Biblical worship and doctrine along with their liberty which had cost so much was worth fighting for. The struggle for religious and civil liberties during the 1600's was not with Romanism, but with the Episcopalians of England. The British monarchy, which held both religious and civil authority tried to force its prayer book and church government of archbishops, bishops, deans and church laws upon the people of Scotland. When King Charles I and his successors endeavored to force the Scots to conform, is when the conflict became severe and even bloody. For over fifty years the Scots fought a long and bitter fight until 1688 when they succeeded in reestablishing Presbyterianism in Scotland. THIS biography of the great Scottish Reformer has been directly inspired by the quarter centenary of his birth, which is to be celebrated this year. This is at once its excuse and its justification. The book is intended to fill a place midway between the larger and the smaller biographies of Knox already in existence. It is meant to meet the wants of those whose desire is to have a full sketch of the Reformer's career, but one which, at the same time, is not overburdened with unnecessary details. I have to express my indebtedness to writers who have gone over the field before me: to the historians of the period, and in particular to the two chief biographers of Knox, Dr. McCrie and Dr. Hume Brown. Among the smaller biographies I have found that of Mrs. Maccunn the most suggestive. Dr. David Laing's well-known edition of Knox's works has, of course, been my chief source of information. Two books recently published are also of special note; these are the Baird Lecture of the late Professor Mitchell and the Croall Lecture of the late Professor Hastie. Dr. Mitchell's work, edited with great care by Dr. Hay Fleming, gives a very luminous sketch of the polity of Knox, and Dr. Hastie's volume is invaluable for its exposition of the Reformer's theology. The question of the date of Knox's birth, recently raised, is discussed in the Appendix. It is not pretended that the matter has been finally settled, but no evidence yet adduced seems to me strong enough to cause us to depart from the date mentioned by Spottiswoode and Buchanan. Knox's spelling has been in most instances modernised, but the original form has been preserved where it appeared most effective. Whatever value the book possesses is, I feel, greatly enhanced by Principal Story's Introduction, in which he gives an appreciation of the Reformer at once distinctive and illuminative. My best thanks are due to Mr. William Wallace, LL.D., for valuable suggestions made while the work was passing through the press, to the Rev. P. H. Aitken, B.D., and the Rev. George Drummond, B.D., for kindly revising the proofs, and to the Rev. R. S. V. Logie, M.A., for preparing the Index.